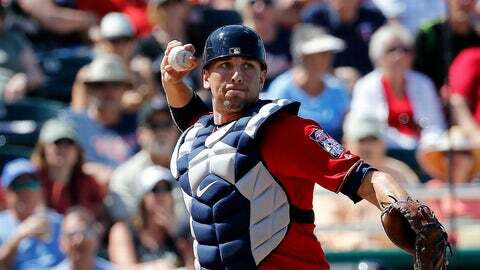 MINNEAPOLIS — Minnesota catcher Jason Castro will miss the rest of the season following surgery to repair the meniscus in his right knee. Castro tore his meniscus, was operated on Tuesday by Dr. Richard Steadman and had been expected to be sidelined for four-to-six weeks. Minnesota said Wednesday that Steadman found damage to be more extensive than an MRI indicated. As a result, Steadman performed a full repair instead of a trim of the meniscus. Castro’s meniscus was trimmed during an operation in 2011. Falvey said Castro’s rehabilitation will take five-to-six months, putting the 30-year-old on track to be ready for spring training. Castro had surgery to repair the anterior cruciate ligament and meniscus in 2011 and had a cyst removed from the knee in 2013. “They feel really good about where he’s at for the long term for his career and will allow him after this rehab to be in a good spot,” Falvey said. Castro has been on the disabled list since May 5. He hit .143 with three RBIs in 19 games and tried to play through knee pain for several weeks. Minnesota is left with second-year player Mitch Garver and journeyman Bobby Wilson, who homered for the first time since 2016 in Tuesday’s win, at the position. Garver has hit .254 with two home runs in 20 games as Castro’s backup this season. Wilson is back in the major leagues for the first time since playing for three teams in 2016. Falvey said he will pursue possible upgrades.